Home > NATIONWIDE > FOOD > All you need to know about Mochi! Mochi is a traditional Japanese sweet, it is made of Japanese rice flour (also known as “Mochigome”). 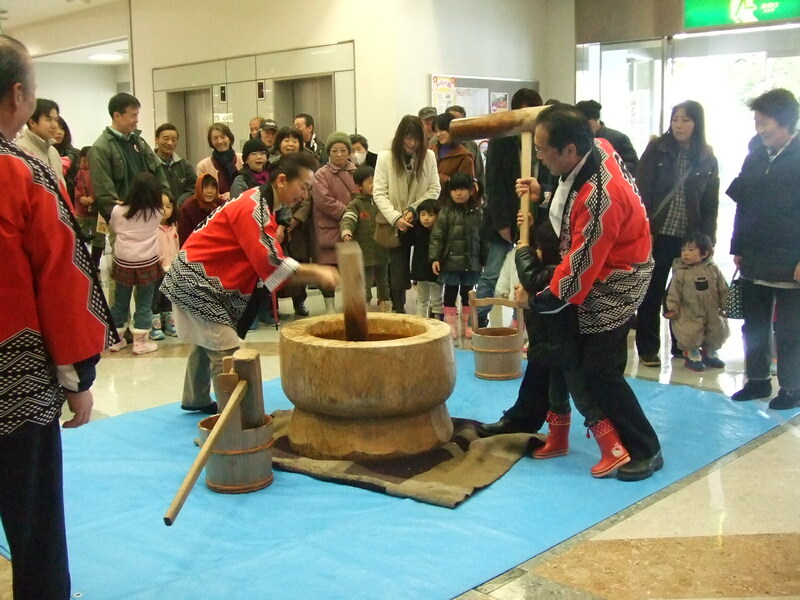 Sometimes it is made in a special ceremony called “Mochitsuki”, in which the cooked rice is pounded with a wooden mallet in a mortar until the consistency is just right. There are many types of Japanese traditional sweets (known as “Wagashi”), which are made of mochi. “Wagashi” is often served with green tea and is typically made of plant ingredients. Oshiruko is Mochi filled with sweet porridge made of boiled and crushed adzuki red beans. There are two kinds of “Oshiruko”, which differ in the methods of adzuki red beans preparation. The adzuki red beans may be turned into a paste (smashed until you can not see the original bean shape), or into a mixed paste with roughly crushed beans. Japanese people love to eat “Oshiruko” during winters. “Daifuku” consists of two words, “Dai”, which means big and “Fuku”, which means luck. “Daifuku” means great luck. This is a small round mochi stuffed with sweet fillings. This is a small round mochi stuffed with ice cream. There are many ice cream flavors that you can choose from. You can buy this dessert in a convenience store. 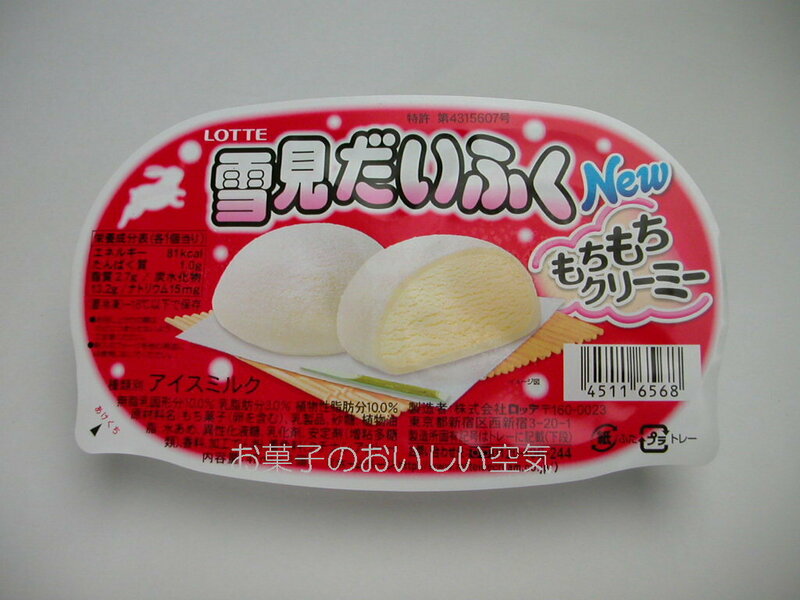 Look for it in the ice cream section of any convenience store in Japan, the name is “雪見だいふく(Yukimidaifuku)”. This sweet is very similar to daifuku, which is a small round mochi stuffed with sweet filling. The difference is this mochi does not have adzuki sweet red bean paste as it’s filling, it uses a dried strawberry instead. This is a mochi, which is sprinkled with roasted soy flour. I hope you’ll get to enjoy at least some of these mochi-licious sweets!